If you have children, then you know how busy and hectic their young lives are – and, of course, yours as well. It might seem like their roster of activities is already as full and enriching and valuable as can be. But have you considered signing your child up for voice lessons? Even if your child’s schedule is full, the benefits of voice lessons are so substantial that it might be worth dropping some other activity that your child might not be enjoying so much. After all, taking voice lessons is fun. Learning to sing (particularly to sing in front of others) can increase your child’s confidence and public speaking skills. 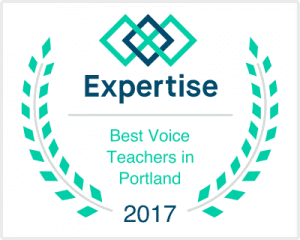 Voice lessons can even provide an intelligence boost and help your child succeed in school. That’s because the real value of voice lessons lies in more than just being able to sing along to a song on the radio or participate in a school recital. The act of singing stimulates the same areas of the brain that are used for understanding spatial relationships, mathematics, and reading. Singing can also help your child to learn how to express themselves emotionally. Perhaps most importantly, taking voice lessons (or taking any music lessons or undergoing any musical training, for that matter) can help your child become a better listener. There have been scientific studies which demonstrate that these improved listening skills will last a lifetime. This is true because taking voice lessons helps a child create new neural pathways that help with processing words and letters. You can see this when babies are exposed to interactive song learning; there’s an increase in waving, smiling, and even communication. Babies have the ability to distinguish between different musical chords, musical scales, and even different consonant combinations. Babies can even recognize their favorite songs and tunes. In technical terms, voice lessons boost neuroplasticity, which describes the brain’s ability to adapt and change throughout life. And the type of neuroplasticity that’s improved with things like voice lessons can wire the brain in a way that other activities simply can’t. In fact, research has shown that the volume of brain gray matter in several distinct regions is highest in professional musicians, and lowest in non-musicians. And it gets even better. When a child starts taking voice lessons at an early age, those lessons can actually help to create metaplasticity in their brain. Metaplasticity is where plasticity or changes on one part of the brain as a result of a particular type of learning or training can help induce plasticity in other areas in the brain. 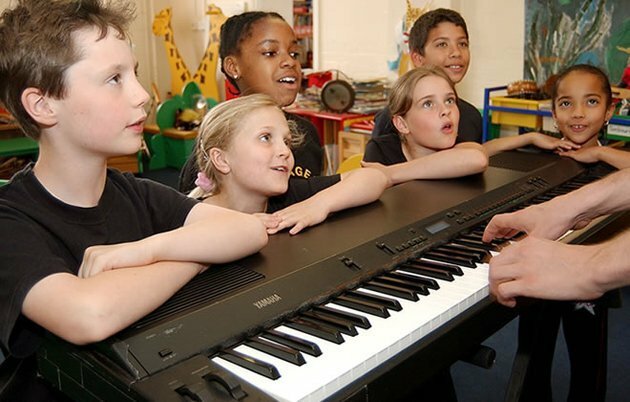 When you child understands these benefits – and the best vocal instructors will be able to help your child to do so – they can better understand the progress they’re making as they progress through their lessons. Seeing the payoff for all their hard work can in turn keep them motivated and committed to their voice lessons. And because of the benefits of neuroplasticity, their hard work at voice lessons will pay off in other areas of their lives as well. Could now be the right time for voice lessons for your child? Let’s find out together. I’m offering 5 complimentary consultations this month to family’s considering voice lessons for their child. Just fill out this form and I’ll be in touch right away. Not many parents would think about it, but I do like that the article points out the fact that voice lessons can help your child become a better listener. After all, if they are serious about learning how to sing then they will need to listen to their teacher. Because of this they pickup great learning skills that they can apply to other areas of their life.